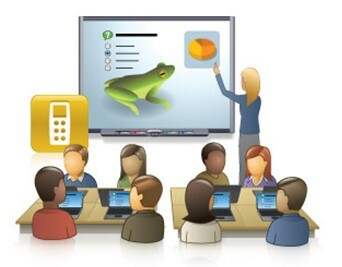 The main objective of the Virtual classroom project is to find and create a best practice standard for implementing modern, academic curricula in an international, multidisciplinary university setting. MOOC stands for a Massive Open Online Course. It is an online course aimed at large-scale participation and open (free) access via the internet. They are similar to university courses, but do not tend to offer academic credit. This cost effective way of learning through online medium definitely possess a bright future in India as Government doesn't have to spend money on the construction of schools and colleges, students do not have to travel up to long distances, no faculty will be needed .One only needs to get a laptop or desktop or mobile and an internet connection and they are all set to go! In a developing country like India where the major part of population resides in rural areas and people can't afford to get quality education, MOOCS can be definitely considered as a game changer. ऑनलाइन माध्यम के माध्यम से सीखने की इस किफ़ायती विधि का निश्चित रूप से भारत में उज्ज्वल भविष्य है क्योंकि सरकार को स्कूलों और कॉलेजों के निर्माण पर राशि व्यय नहीं करनी होती है, छात्रों को लंबी दूरी की यात्रा नहीं करनी पड़ती है, और इसके लिए किसी भी फैकल्टी की आवश्यकता नहीं होती है। सीखने के लिए केवल एक लैपटॉप या डेस्कटॉप या मोबाइल और एक इंटरनेट कनेक्शन की आवश्यकता है और वे सभी सीखने के लिए तैयार हैं!